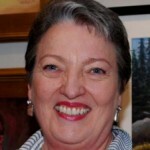 Shirley Nachtrieb, a graduate of Fontbonne College, resides in St. Charles, Mo. 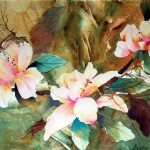 She has been a freelance artist and teacher for over 40 years. Shirley is a signature member of the Society of Layerists in Multimedia, St. Louis Watercolor Society, the International Society of Experimental Artists, and the Missouri Watercolor Society. She is also a distinguished member of the St. Louis Artist Guild and a juried member of the Best of Missouri Hands. Shirley paints and teaches throughout Missouri and bordering states. 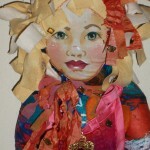 Her painting mediums include watercolor, pastel, acrylics, mixed media, fiber, and handmade books. Shirley is a four-time winner of the prestigious Grumbacher Award of Excellence. 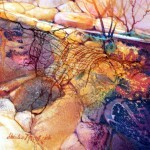 She is represented in Rockport Publisher’s book, Creative Watercolor by Mary Ann Beckwith. The Society of Layerists in Multimedia has accepted Shirley’s artwork in two of their books: Metaphors of Time and Space Through Layering and The Art of Layering: Making Connections. Several of her watercolors have appeared on the covers of the Country Register magazine. Her paintings have also appeared on several of St. Louis Home Builder’s Fall Home Show posters. She does freelance work for the McDonald Publishing in St. Louis, MO, designing posters for the school classroom. 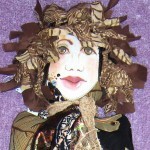 Her collage work has been published five times in Somerset Studios Magazine. 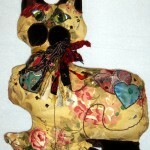 Her artwork has been represented in Nita Leland’s books: Exploring Color, The New Creative Artist., Confident Color: An Artist’s Guide to Harmony, Contrast and Unity, and New Creative Collage Techniques. 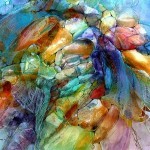 Her artwork has also been represented in Watercolor Magic Magazine. Shirley’s artwork appeared in two of Chris Unwin’s books: The Artistic Touch 4, and The Artistic Touch 5. 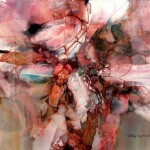 In 2011 Shirley’s work appeared in Sue St. John’s e-book, A Walk Into Abstracts. Most recently, Shirley’s inspired paintings have appeared in Who Is God Book I, II, II, and IV by GDP Studios. Shirley’s artwork may be seen on several websites including: www.bestofmissourihands.com, www.shirleynachtrieb.com, and www.mowsart.com , www.missourifiberartists.com, and www.slmm.org. In 2015 Northside Artists’ Guild filmed Shirley doing a watercolor collage demonstration: https://www.youtube.com/watch?v=-j3VnsbutrQ. Gallery affiliations include Framations in St. Charles, MO, http://www.framations.com/nachtrieb.html, MacCreed’s Art Gallery in Lebanon, MO www.maccreedsgallery.com , Art Impressions Gallery in Sedalia, MO, http://Artimpressions.net , Blue Stem Missouri Crafts, Columbia MO, https://www.bluestemcrafts.com/, and Museum Contempo in Olympia, WA. For more information, the artist may be contacted at shirley@nachtrieb.com. 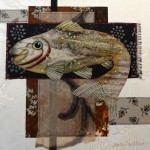 Shirley Nachtrieb’s artwork is earthy, organic and multimedia. 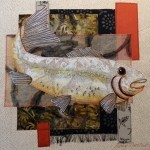 She enjoys painting from nature, interpreting her images into collages, using textures to enhance them. She works experimentally and intuitively, letting the painting decide its own direction. Her work gravitates toward the natural, listening to an inner voice, unconsciously letting it accomplish the finishing touches. Shirley believes that painting is as simple as breathing. She is always looking for a way to interpret what she sees or feels in a more creative way.